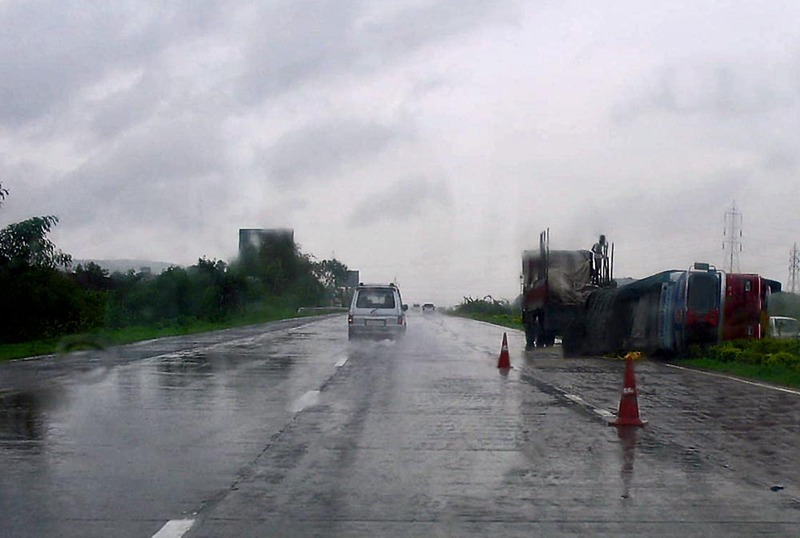 These are photographs of accidents which have taken place on the Mumbai-Pune Expressway. In the last decade "the expressway witnessed 1,758 accidents that took more than 400 lives and maimed over 7,200. Of these 557 had serious injuries" and this statistic is of 2010. In May 2012 dozens of people dies and dozens injured in just one accident! The causes of these accidents are mostly human error. Speeding and overtaking rashly is common. Some accidents are caused by tyre bursts. There were just 26 deaths in 2006, but as many as 74 in 2009. "Between May-July 2011, 74 accidents on the expressway have been reported, of which 21 resulted in deaths". 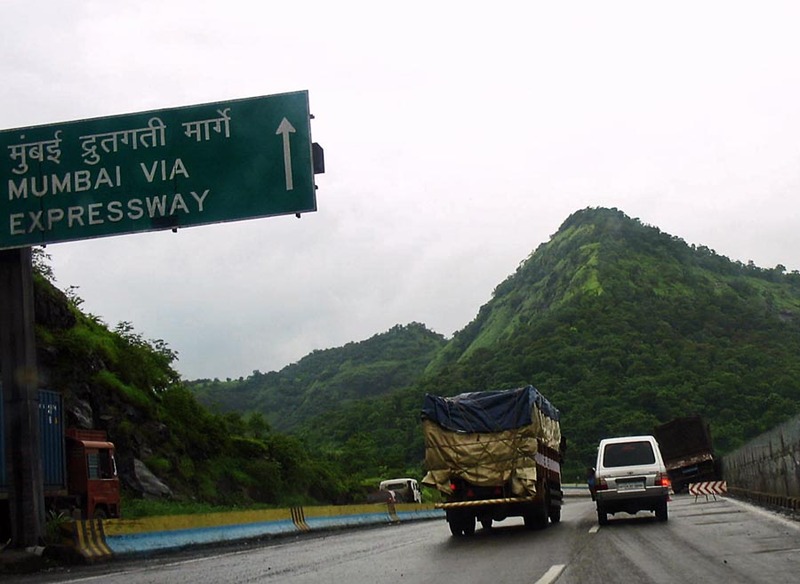 Over 90% of accidents take place between the Lonavla entry and Khalapur toll naka. A truck which veered into a ditch on the side of the expressway in the ghat section. A crane is trying to pull it out. This happened right outside the tunnel. Here is a truck which has gone off the road on the Mumbai-Pune Expressway. A common sight in the rainy season. A wreck of a car lying on the side of the road in the mountainous section of the Mumbai Pune expressway. 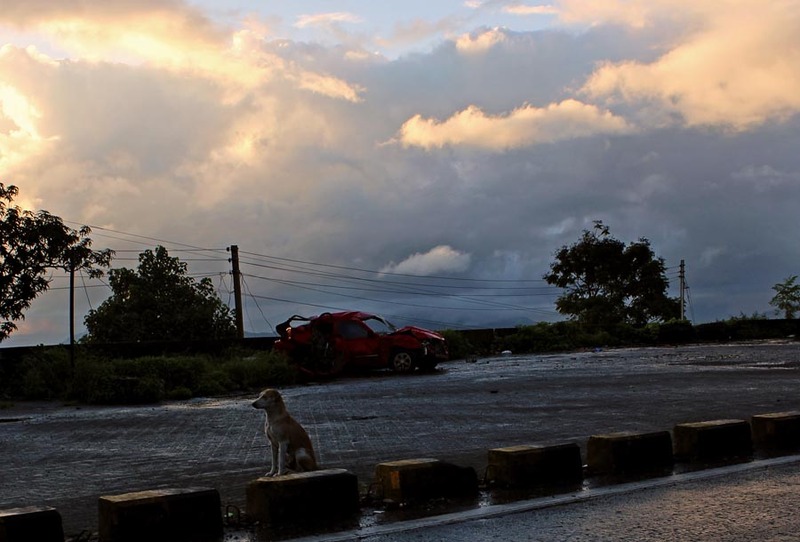 There is something desolate about the image with the lone dog and no sign of human life. 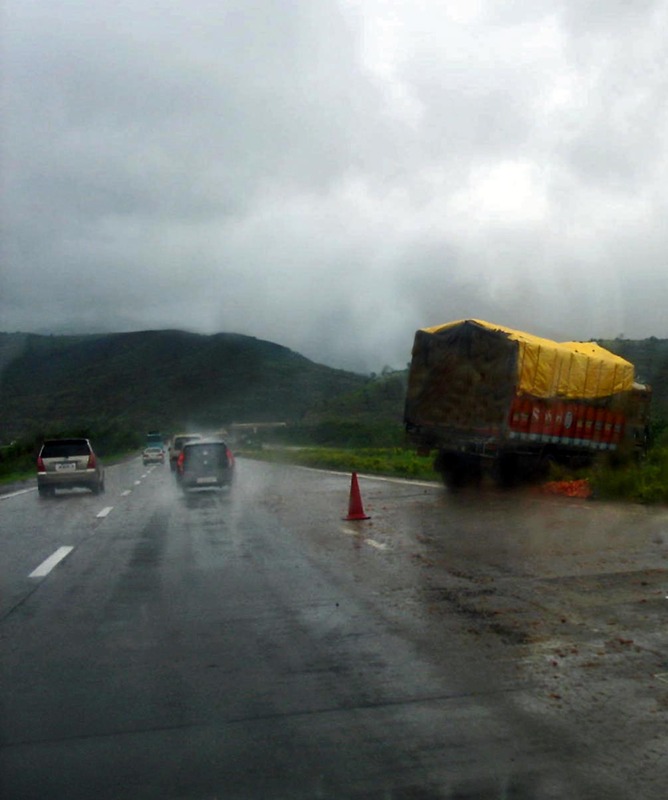 Another overturned truck in the slippery roads in the monsoons. Many of these drivers drive rashly and worse, they get away with it again and again. 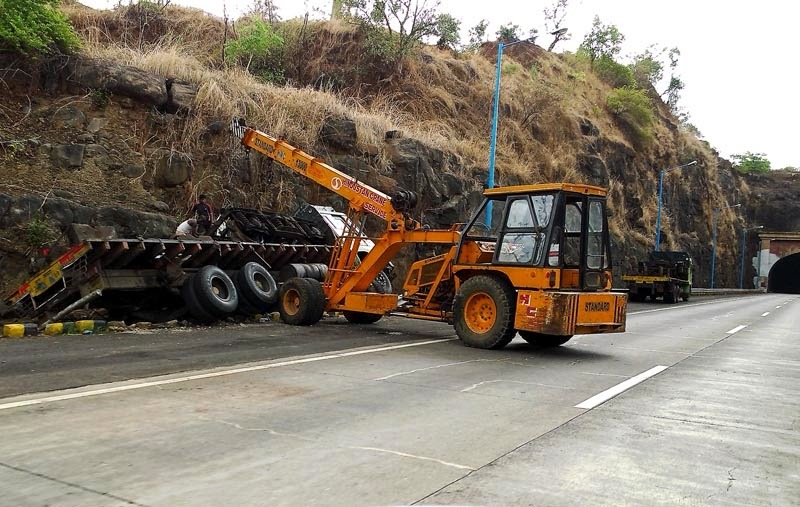 A truck run off the road on the Mumbai Pune expressway. These heavy vehicles speed dangerously and lose control even in good weather.